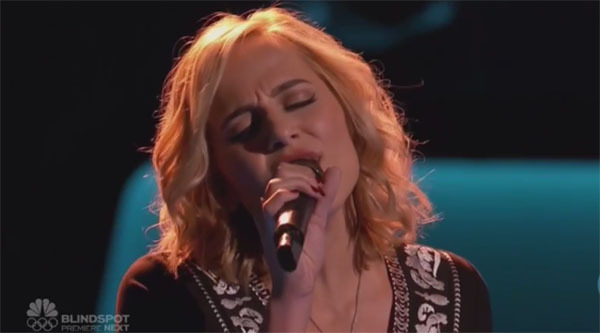 Mary Sarah sings ‘Where The Boys Are’ on The Voice Season 10 Blind Auditions premiere episode on Monday, February 29, 2016. Mary Sarah received four chair turns from the judges. “I love that you did a song and did it in such a way that is so pure. It really brought me back to different time and places,” said Adam Levine. “You hit like a belted note in the stratosphere, you are consistent the whole way through,” said Christina Aguilera. “You actually sound like you came from that era. It’s so refreshing to see somebody bring that era of music,” said Blake Shelton. Mary Sarah pick Team Blake. Watch her performance on the video below.